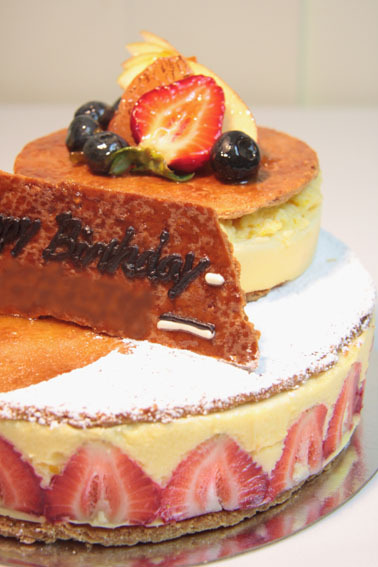 On your (your important person's) special day we'll deliver a special customized birthday cake! We have wide range of ingredients and decoration selections. Healthy Birthday Cakes! : We are specialized for healthy ingredients & Macrobiotics. Therefore We can offer macrobiotic cakes as well!! We do not use egg, white sugar, butter and milk for macrobiotic cakes which means very good for allergies, especially for atopic dermatitis kids and adult diseased like diabetes.